look boutique | This Mama Can Cook! And Travel! From my kitchen, to cross country trips-come share my foodie and travel adventures! Growing up, my family always went to our neighborhood Walgreens for all of our over-the-counter and prescription meds. Walgreens was conveniently located near our home and we trusted them, after all, they are the nation’s largest drugstore chain. My mom knew that whatever she needed, she could find it at Walgreens. That hasn’t changed, but boy, so many other things about Walgreens certainly have! 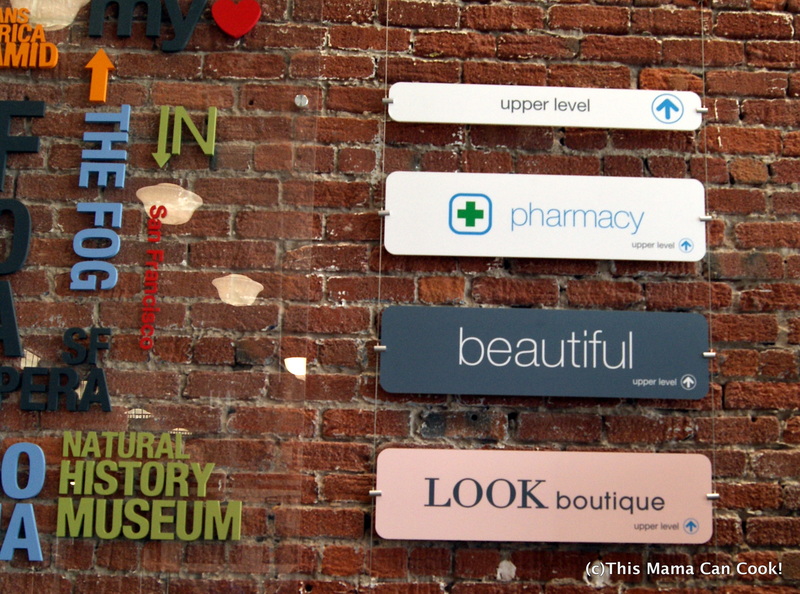 If you haven’t been inside a Walgreens lately, you’re going to love this post. 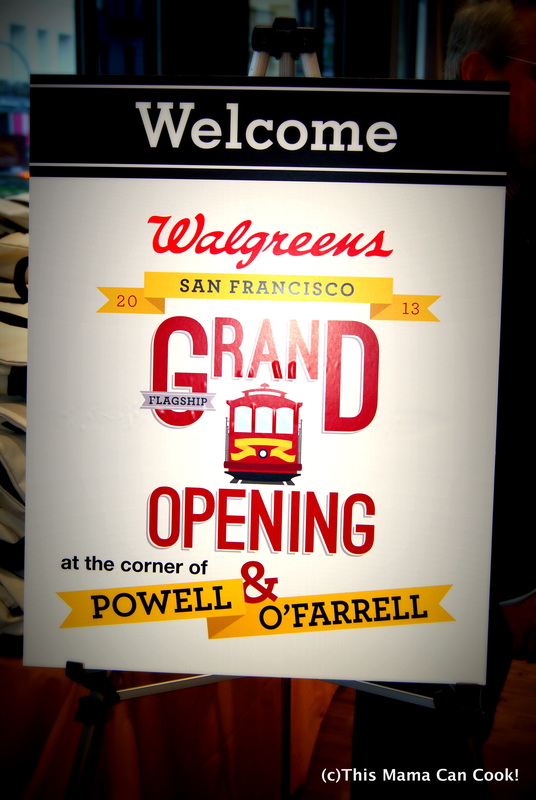 The new Flagship Walgreens just opened up in San Francisco, at the corner of Powell & O’Farrell. When Collective Bias invited me to tour the new Walgreens, I had no idea what was in store for me. The moment I walked through the doors, I thought to myself, “This ain’t my Mama’s Walgreens!” This Walgreens is big and bright, and did I mention Big?! I’m talking 18,000 sf and 2 stories tall! It is unlike any other Walgreens I have ever been to. There are 15 cash registers and 90 employees, we’re talking huge here! It reminded me more of a department store, than my friendly, neighborhood Walgreens. We began our tour upstairs. 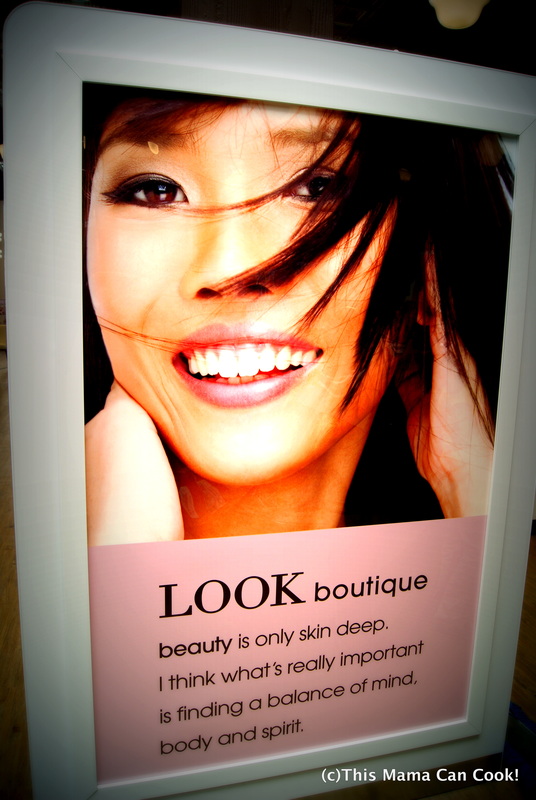 First stop, was the LOOK Boutique beauty department, and it is fabulous! It features tons of prestige and niche cosmetic, skincare, and hair care brands that you don’t normally find in drugstores. 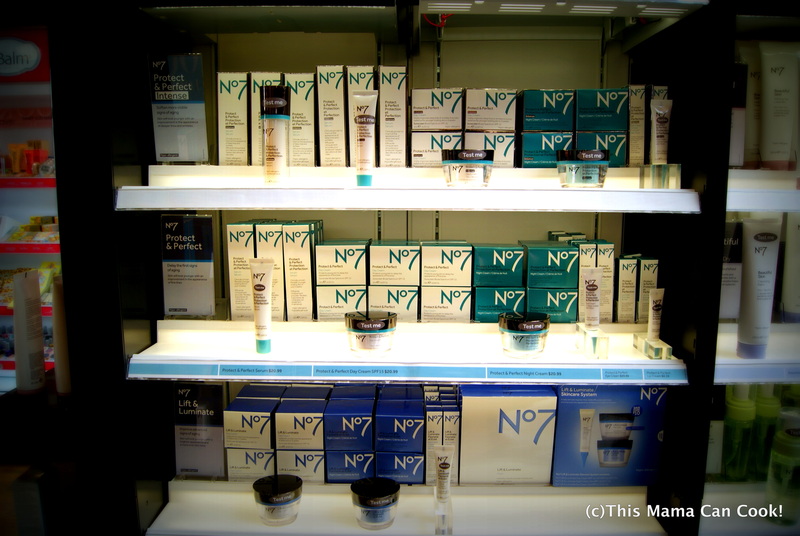 For example, you can find the U.K.’s number one skincare line, “No 7,” created by Boots, here at Walgreens. No 7 is known for their anti-aging beauty serums. 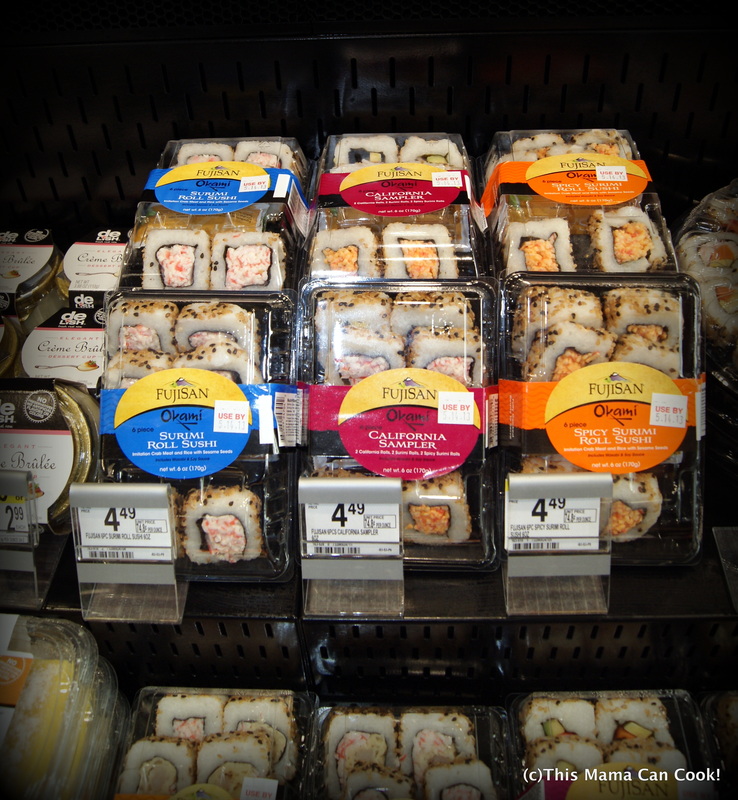 (I’ll take 2 of everything, please!) The specially-trained beauty advisors can help you choose just the right product for your skin type. 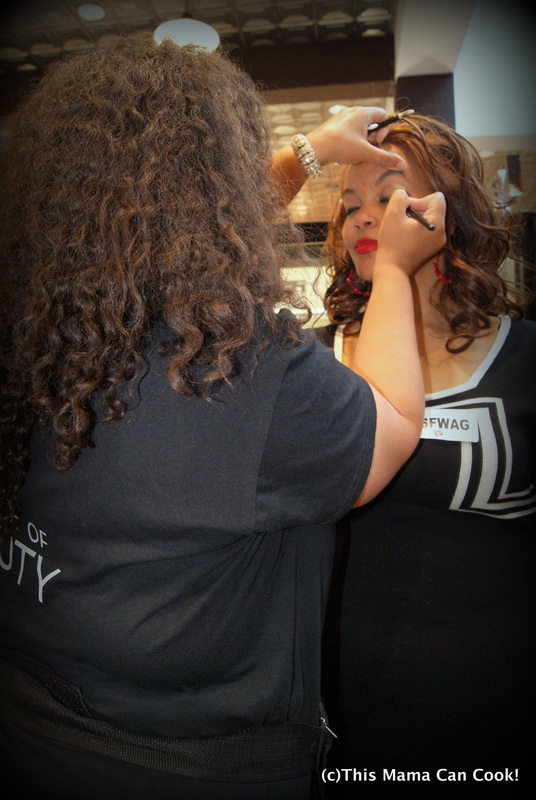 They’ll even touch-up your make-up for you! If your brows are looking a little rough, just head on over to the Ramy Eyebrow Bar to get some expert brow shaping and grooming services! How fantastic is that? Getting your brows done at Walgreens… I told you this wasn’t your Mama’s Walgreens! Walgreens main purpose is to help people get, stay & live well… so it made perfect sense that we toured the Pharmacy next. The pharmacy is open 8:00am-8:00pm Monday through Friday, 9:00am-6:00pm on Saturday, & 9:00am-5:00pm on Sundays. Nimesh Jhaveri-Executive Director of Pharmacy Operations, was on hand to give us the grand tour. He explained to us how the role of the pharmacist is changing & evolving. Walgreens wants to be your one-stop healthcare shop. It makes perfect sense, Walgreens’ are everywhere, you can find one on virtually every corner. Why not utilize them to the fullest extent? Vaccines, sports physicals, urgent care- it’s all available at Walgreens. They even do diabetes screenings and can check your cholesterol levels! Not everyone has access to a nearby doctor, but we all have access to a nearby Walgreens, right?! As someone who loves to travel, I’m lovin’ this new Flagship Walgreens! Imagine being a tourist here in San Francisco and getting sick. You don’t know where the nearest doctor is, or urgent care… but you do know where the nearest Walgreens is, at the corner of Powell & O’Farrell! (They have suitcases too!) 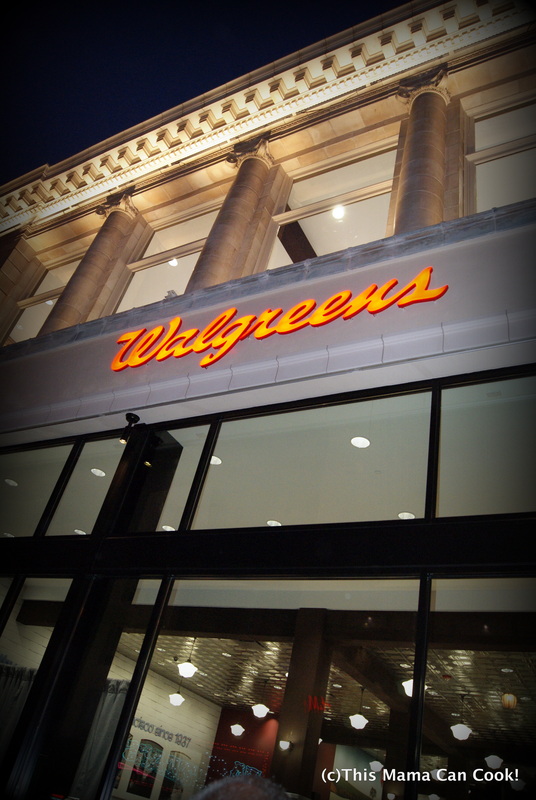 Walgreens is working hard to be your first choice for health & daily living. Once you’ve taken care of all your health and beauty needs, you might be a little hungry. Walgreens has that covered too! 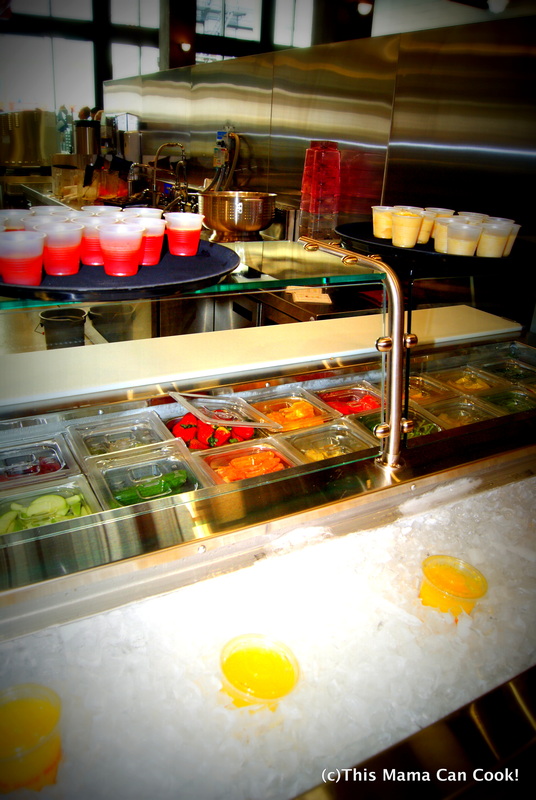 Your eyes are not deceiving you, that is a smoothie bar. Smoothies are available at the new Walgreens in San Francisco, along with a juice bar. But that’s not all. 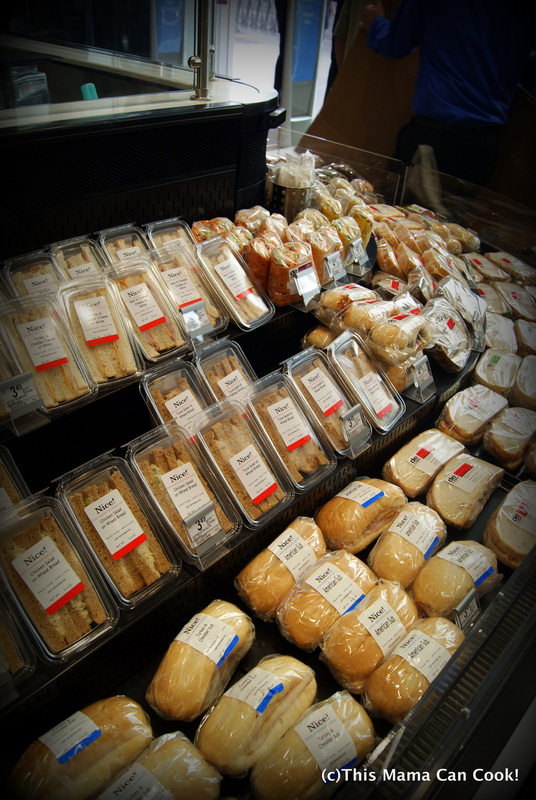 In keeping with their mission to keep you well, Walgreens also offers hundreds of fresh food items. 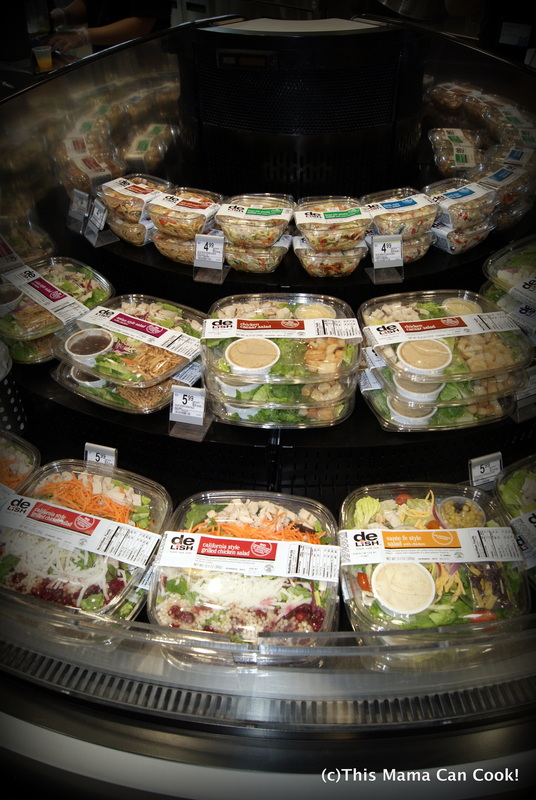 Produce and high-quality, on-the-go meal options such as wraps, sushi, salads and sandwiches are made fresh daily. When I tell you this Walgreens is like no other I have ever been to, I truly mean it! 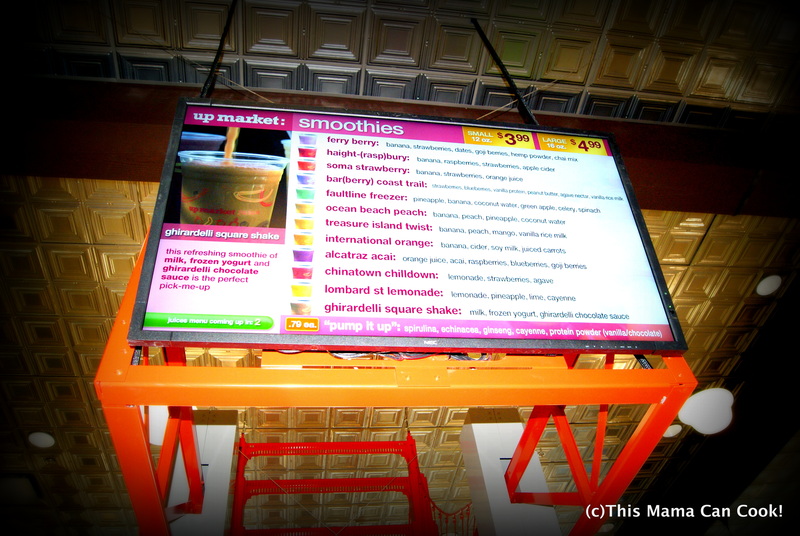 You can purchase Fro-Yo here… awesome! 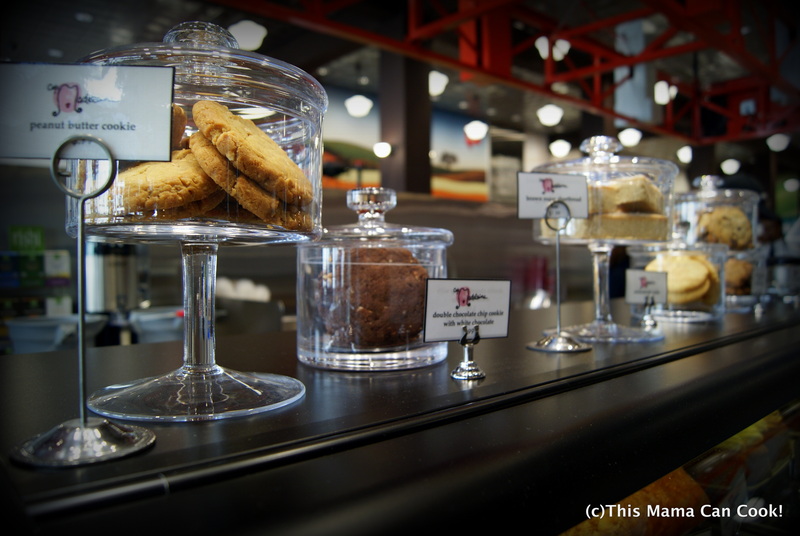 You pay by the cup size, not by weight… even better! 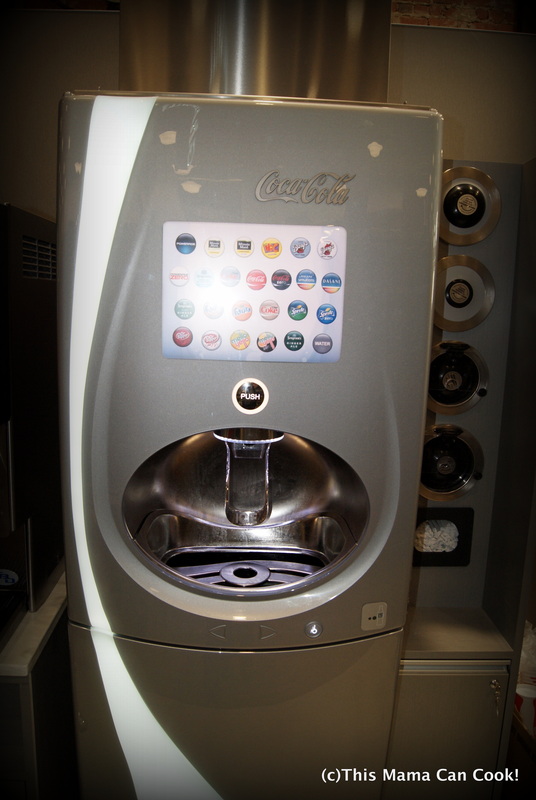 There’s a Coca-Cola Freestyle machine dispensing 130 varieties of Coca-Cola fountain drinks. (I’d never even seen one until I toured this Walgreens!) The Upmarket Cafe’ offers a barista preparing fresh brewed premium coffee & espressos. Got a sweet tooth? 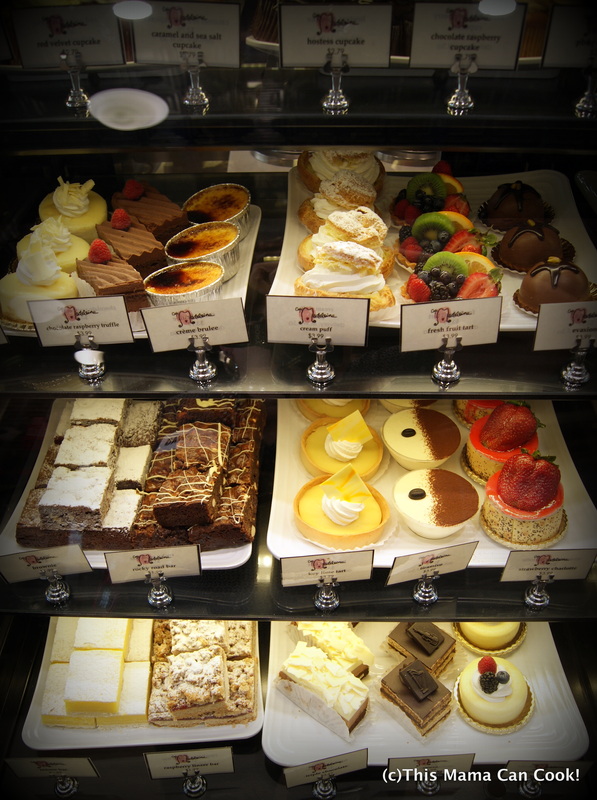 You’ll love the freshly baked pastries and other goodies the Upmarket Cafe’ has to offer. And then there was this! The promised land for chocoholics! A replica of Ghirardelli Square. It has one of the largest (and yummiest!) 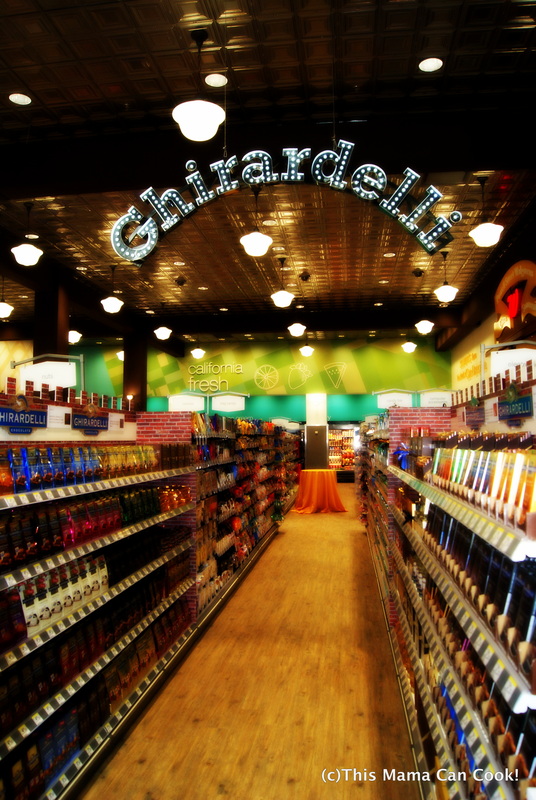 selections of Ghirardelli premium chocolates and gift selections in the San Francisco area. I could go on & on about this new Flagship Walgreens. It’s the first of its kind here in Northern California and it promises to bring customers a unique shopping experience. This store has it all! With offerings like fresh food, an enhanced beauty department and unique pharmacy- this is My Walgreens! 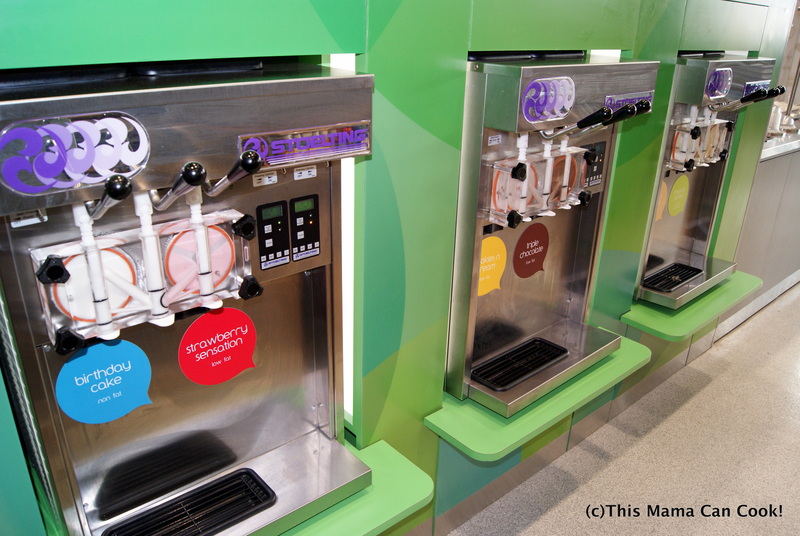 Next time you are in San Francisco, be sure to drop by and check it out for yourself, and don’t forget to try the Vanilla Fro-Yo, it’s delicious! Y’all know I love to take photos, and I have many more to share with you. 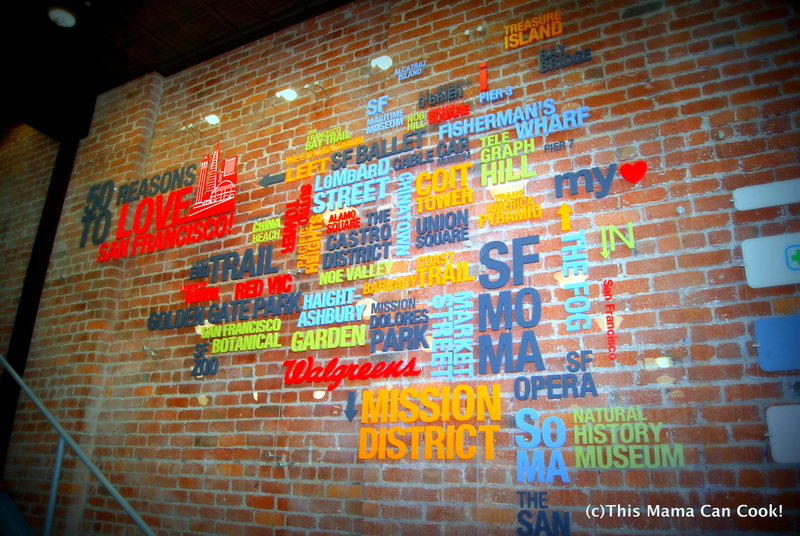 You can see them all all on my #SFWAG Google+ Album. For more Walgreens info, here’s their website. 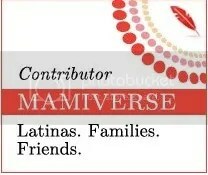 You can follow them on Twitter and FB too! Be well! Products I Use & Love!